St Anthony of the Desert not only engaged in fierce battle against the devil through prayer and fasting, but mocked, sneered and abused him. For his triumphs over the devil God promised that he would make his name known everywhere. Though the ages the life of St Anthony has inspired many to sanctity and great holiness of life. 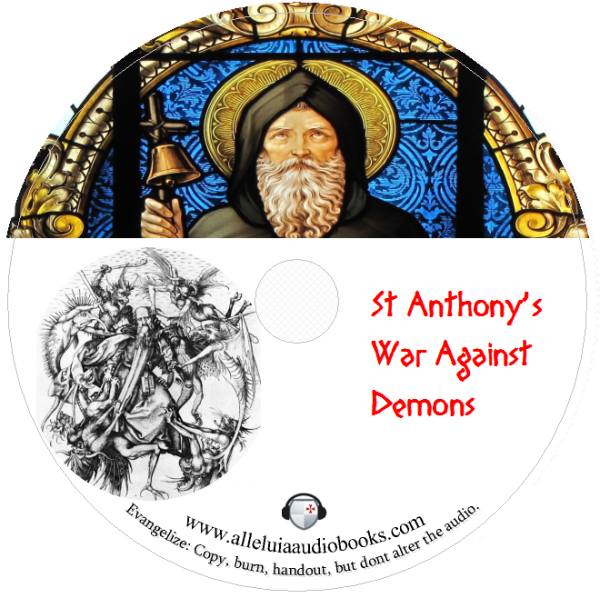 This Audiobook has compiled sections of the Life and Teaching of St Anthony the Great written by St Athanasius and recount his triumphs over demons, heretics, and proud intellectuals. Receive notifications about new audiobooks! All of these writings are from the Nicene and Post-Nicene Fathers: Section on St Anthansius Letters and Writings gathered by Phillip Schaff in the 1800′s are in the public domain. Thank you for this upload. God bless you.